After a mysterious virus makes its way into the United States, the government demands that states seal themselves off from one another and do their best to protect their surviving residents. When the state of Florida is bordered off from the surrounding states, Taylen Fincher, a seventeen-year-old girl with a yearning for her former life finds herself wondering how much of what they’ve been told is true. When Troum took control of the state, he told the residents that the other states had fallen to the virus and that he wouldn’t allow the same thing to happen to them. But Taylen doesn’t believe it. She insists that there is still life outside of the state, and she is going to do whatever it takes to prove it… but her actions will cost her more than she ever expected. Troum kidnaps Taylen’s sister, Penelope, in hopes of coaxing her into behaving – into being a submissive resident, much like the others. But Taylen isn’t one to give in that easily. Eager to rescue her sister, Taylen will set out on an adventure that’ll force her to open her heart to the unexpected and to uncover secrets that will change everything. 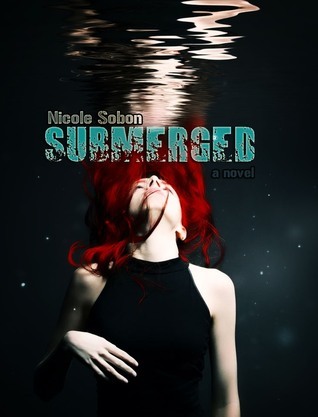 SUBMERGED is the first book in a YA dystopian duology. This cover is awesome! I haven't read a dystopian novel in a while. It'd be great to win.